With so many benefits and security attached to Sukanya Samriddhi Scheme, a lot of parents of girl children have started to enquire about various features associated with Sukanya Samriddhi Account Yojana. The scheme promises a fairly higher return as compared to other existing deposit schemes and the contributions made in SSA or SSY are completely exempted from income tax under section 80C. The interest rate for SSA would be 9.2% for FY 2015 -16 annually for the current fiscal year (2014-15) to be compounded yearly. The rates may vary with each financial year’s budget, but would surely be at par with PPF and other small saving schemes. Parents or legal guardians of the girl child can open this account with any post office or nationalized banks listed by RBI for this scheme with an initial deposit of Rs 1,000 or more. A multiple of Rs 100 can be deposited to the account any number of times grossing to a maximum of Rs 1,50,000 per fiscal year. The account would be opened in the name of the girl child by the parents or legal guardian of the child. Only one account can be opened per girl child. That means, a girl can not have more than one account across all post offices and banks. A maximum of two girl child would be covered under the scheme for any given parents. There is a minimum amount of Rs 1,000 to be deposited every year. In case if it does not happen in a particular year, the account would be discontinued. However, it can be reactivated by paying a penalty of just Rs 50 along with the minimum deposit amount of Rs 1,000 for that financial year. Partial withdrawal is allowed up to a maximum of 50 per cent of the balance during the preceding year of withdrawal. It is noteworthy that this could only be done in case of the marriage of the girl child or for her higher education; both after 18 years of her age. The account will mature after 21 years from the date of opening of the account. In case if the girl child does not wish to close the account after maturity, the deposits would keep growing at the same rate of interest as per the scheme for every financial year. All contributions or deposits made towards Sukanya Samriddhi Account would be exempted from income tax under section 80C. Since the features of the scheme may keep improving every financial year, we hope that the interest too would be exempted form taxes. 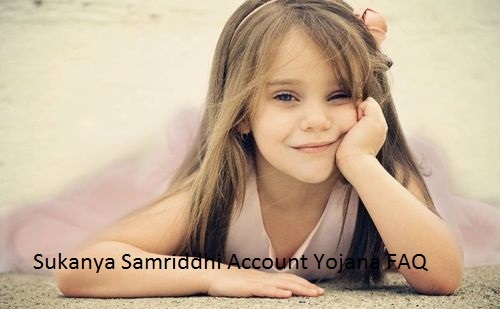 Overall, Sukanya Samriddhi Account is an excellent mode of saving for modern parents of the girl child. This way, they can make sure that they save a certain money every year while making it grow at a steady pace, secure the future of their girl child and last but not the least, avail full tax benefits out of the investments.